Trainer Tim Grams’s Charles Town operation continues to chug along nicely, with nine wins to date in 2018, and his promising sophomore filly Silver Slippers found the winner’s circle March 15 for the second time in three starts. A daughter of Outflanker, Silver Slippers took a 4 1/2 furlong allowance test for West Virginia-breds, just holding off the late bid by Golden Desire to win by a head in 54.34 seconds. Silver Slippers, a Grams homebred out of the stakes-placed mare Silver Buckle, is a half-sister to another Grams hard-hitter, Start Line. Silver Slippers has two wins and a third from three starts to date. With Antonio Lopez in the irons, Braxton rallied late to win an allowance contest March 16 by a length-and-a-quarter going away in 53.28 seconds for 4 1/2 furlongs. The Javier Contreras-trained Peak Dancer gelding, a homebred for Eagle Point Farm, now has two straight wins to his credit. Overall, he has won four of seven career starts, good for earnings of $62,526. Making his career debut, Copabella took to this whole racing thing quite adeptly. Under Guillermo Rodriguez, the Street Dancer filly broke alertly, took the lead, quickly, extended it on the turn, and held off the rallying Silky Mitts to win a March 17 maiden special weight test by a head in 53.93 seconds for 4 1/2 furlongs. Dismissed by bettors, Copabella returned $32.00 for the win. She was bred in Maryland by Mr. and Mrs. Matthew S. Cahir and is trained by Neil Morris for PathFinder Racing. Making her second career start and stretched out to a mile from her six-furlong debut, Madison Avenue flashed plenty of potential March 16 when she cruised to a five-length victory under Feargal Lynch. A Quality Road filly owned by Dark Hollow Farm, Madison Avenue showed speed early, went clear after a half-mile and was never threatened in the stretch while receiving a vigorous ride from jockey Feargal Lynch. A $37,000 auction purchase, Madison Avenue is trained by Phil Schoenthal. When three-year-old Align the Numbers broke his maiden, against $40,000 maiden claimers, he was 2-5. Wheeled back against sophomore allowance foes on March 16, he was 3-5 and won just like a 3-5 shot should, dominating his four rivals in a five-length triumph. Under J. D. Acosta, Align the Numbers had a big lead throughout and was four lengths in advance of his rivals after an opening quarter-mile in 22.22 seconds. Running time for the 5 1/2 furlongs was 1:04.44. The Donna Lockard trainee, a Maryland-bred homebred Orientate gelding for Holly House Farm, now has two wins and $78,312 in purse earnings from five starts. Lockard had entered 2018 on a 50-race losing streak dating back to 2014. He’s got a long way to go to cover his purchase price, but at least it’s a start. With Mychel Sanchez up, Flyboy, a Street Cry colt who cost $525,000 as a weanling, broke his maiden March 16 at Penn National, stalking the pace of Hashtag Winning before taking over to win by a neck at 9-10 odds. Running time for the one-mile journey was 1:41.71. Flyboy, out of the Pulpit mare Namaste’s Wish, is trained by Greg Sacco for St. Elias Stable and Monmouth Stud. The three-year-old now has a win from three starts with purse earnings of $24,380. Making her seasonal debut, six-year-old Your Pace Or Mine won a $50,000 allowance test Marych 17 at Parx Racing. Under Emmanuel Esquivel, the six-year-old Mineshaft mare led throughout en route to a 4 1/2-length win in 1:14.01 for six furlongs, and she returned $29.80 to win. The Guadalupe Guerrero trainee won a no-conditions allowance for the second consecutive start, the win being her ninth from 32 career starts, and it pushed her career earnings past $300,000. 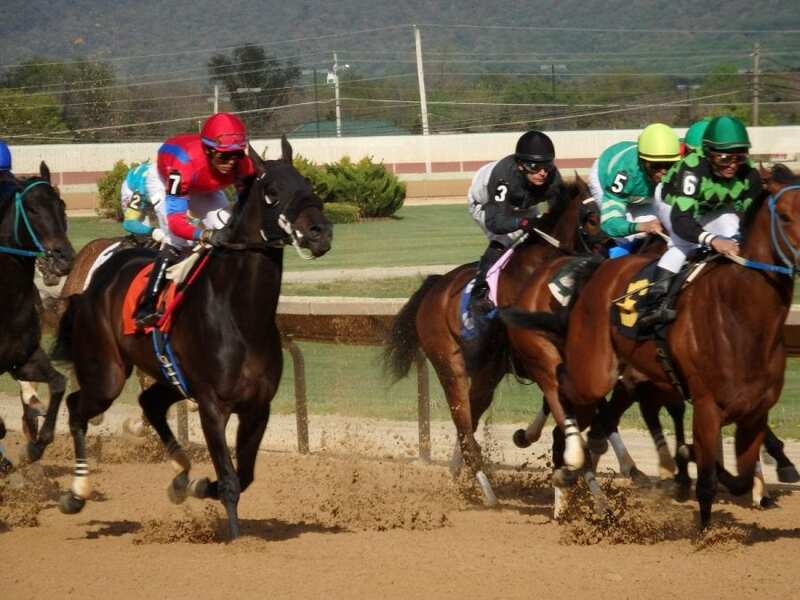 Jockey Antonio Lopez won with five of 12 mounts during the week at Charles Town. The veteran is now sixth in the jockey standings with 14 wins from just 58 starts, a 24 percent strike rate, and he’s fourth by purse earnings, at $234,851. Trainer Claudio Gonzalez suffered through a bit of a cold spell, losing 21 consecutive races at Laurel Park heading into March 18 action. But he made up for lost time and then some, winning four races and finishing second twice to finish the weekend with a colony-leading four wins from 10 starts. His now-24 wins at the meet are 10 clear of Kieron Magee in second. Jockey Julio Hernandez won with six of 22 starters at Penn National during the racing week. That enabled him to draw even atop the leaderboard with Angel Rodriguez, both with 30 wins to date. Hernandez has a slight lead over that rival in the money chase. At Parx Racing, Emmanuel Esquivel won with five of 13 starters, tops in the colony. He now has 19 wins at the Bensalem oval, third in the colony, and also is third with over $500,000 purse earnings this season.